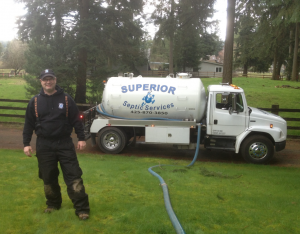 For the best service in Septic Pumping Lake Stevens, contact the professionals at Superior Septic Services, LLC today! We guarantee our service prices as best in the area and we’ll gladly beat any written estimate by ten dollars. Not sure why you might need our services? Consider the following. We offer competitive, affordable prices, high quality workmanship, dependable service, quick response time with same day service whenever it’s needed, professional and polite drivers to help you resolve all of your septic problems. At Superior Septic Services, LLC we offer a comprehensive list of services enabling us to handle any septic problem you might have. We’ll install, maintain, inspect and fix your septic system, regardless of it’s size. Our professional service staff will locate your septic tank if you need to determine its location. We also access the tank for you or you can do that yourself. We want you satisfied with the work we do. 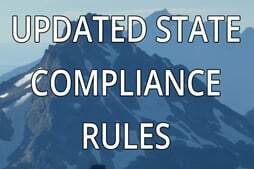 We also offer several maintenance plans to give you the peace of mind in knowing that your septic system is operating properly. Our entry plan is available at no cost to you and includes membership to our Superior Customer Club, access to our Everett Septic Service blog, a 10 percent discount on future services, and a sticker for your circuit box. With this plan you won’t have any septic worries. Whether you’re in need of maintenance work on your septic system or your dealing with a major septic problem, the experts at Superior Septic Services, LLC have what it takes to get the job done well and at an affordable price. Call us today for all of your Septic Pumping Lake Stevens needs. Contact us to schedule your next septic pumping or service at 425-905-2485 or online by clicking here.